Add 1/2 a tspn salt & baking powder to the flour run the processor to blend well. 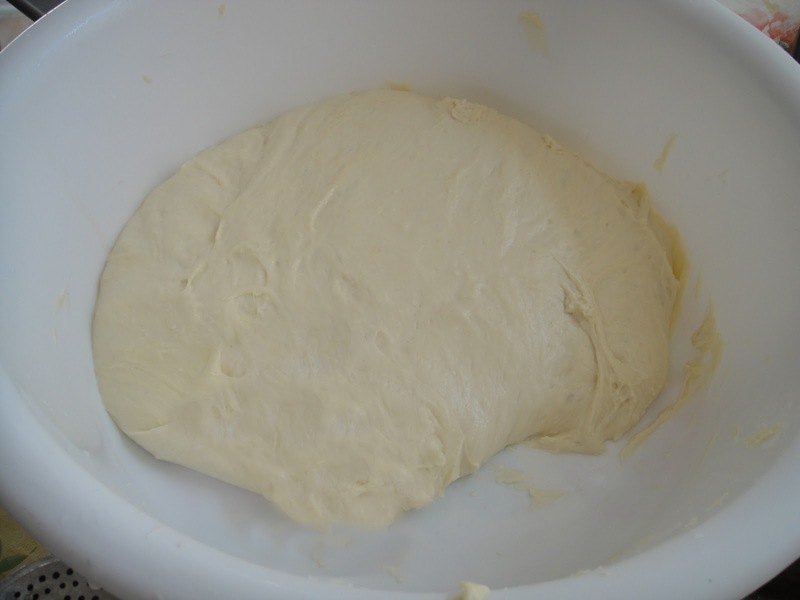 Add egg, yoghurt, yeast (dissolved in 1/2 cup warm water) and pulse 3 to 4 times till the dough is formed. Add a little more water and process well till you get a sticky, gooey dough for the Naan. Make 8 balls out of the dough and put them on a greased cookie sheet 2 inches apart. Cover with a damp cloth and leave for 4hrs till they are double in size. Set the oven to broil at 450 degrees fahrenheit. Take one ball, dust it with a little flour, then flip flap in between the palms of your hands till it gets the shape of a naan. Put it on the griddle or a frying pan to toast on one side. You can give it a good shape by pressing it on the uneven sides after you put it on the griddle. Once you see the bubbles on the top remove and put it on broil in the oven so that the bubbly untoasted side is under the broil. Wait for it to puff up -2-3 mins. As soon as it turns golden brown remove from the oven, brush it with butter or olive oil. The Naan is now ready. Enjoy it with a delicious curry of your choice.